The Machinekit vinyl stickers for the 2015 Midwest RepRep Festival hosted by SeeMeCNC arrived recently. I'll be handing out stickers and showing off various 3D printers running Machinekit soon in Goshen, IN. Jason Kridner (of BeagleBoard.org) will also be there showing off his BeagleStock1, a SeeMeCNC Rostock Max v2 driven by ‪Machinekit running on a BeagleBone Black. There will even be some complete BeagleBone and Machinekit powered electronics kits (BBB + CRAMPS + DRV8832) for your 3D printer or mini-mill being given away as door prizes! 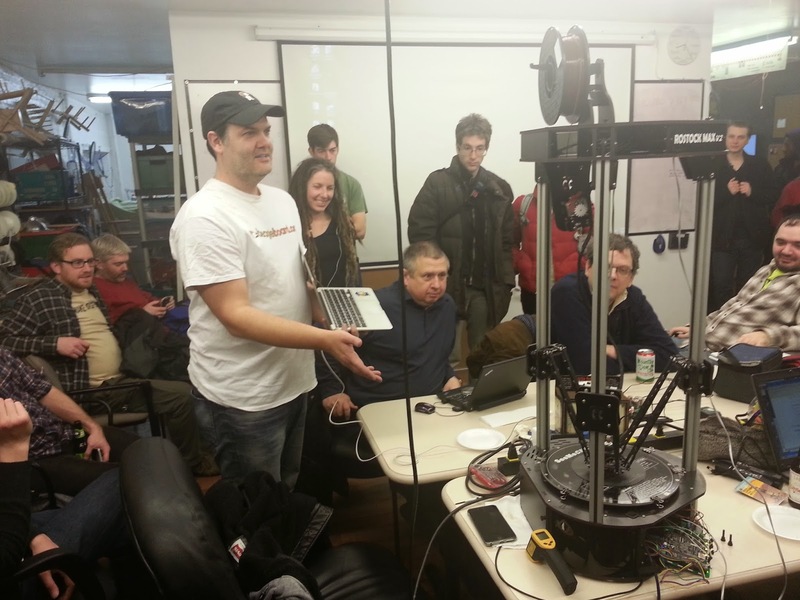 If you're anywhere near the Midwest (or have some spare frequent flyer miles) and are interested in 3D printing, the MRRF is something you won't want to miss!